Paperboard and folding cartons for retail and product manufacturing is becoming a desired choice for product packaging solutions. The multitude of benefits that paperboard offers across its lifecycle – from manufacturing to retailing to consumption and recycling – is becoming clearer every day. At Griffin-Rutgers, we understand the importance of clear and concise coding and labeling for printing on paperboard containers. To that end, we offer a wide range of marking options, depending on the application requirements. The solutions include everything from high-speed Continuous Inkjet (CIJ) for fast production lines, to laser printers for permanent, high resolution marking, to Thermal Inkjet (TIJ) that delivers multiple code options including a selection of fonts, characters sizes and bar codes, multiple labeler configurations and print and apply systems. Paperboard offers manufacturers and brand owners the ability to create a wide variety of structures that can be customized to the product to add appeal to their target market. Two-sided print coupled with high-resolution graphics can strengthen brand messaging. For the consumer, folding cartons offer a wide variety of benefits. Perhaps the most important benefit is the clean and attractive billboard-style package. Paperboard packaging is easy to see and understand on the retail shelf. Folding cartons also offer a wide variety of easy-to-open and re-close designs. For the growing population of environmentally-conscious consumers, paperboard is a packaging alternative that is easy to recycle. There is less sorting than plastic packaging requires, and most neighborhoods offer paper/paperboard pickup programs. Recyclable – Paperboard packaging has better recycling statistics than almost any other packaging material. Renewable – Most resources from our earth that are used to produce products and their packaging cannot be replaced once they are extracted. But wood fiber used to produce paperboard packaging can be, and is being, replaced. Through FSC and SFI chain-of-custody certification programs, stats suggest that approximately 110% of the trees consumed to make certified packages have been replanted. Sustainable – Sustainability is defined by the United Nations as the ability “to meet present needs without compromising the ability of future generations to meet their needs.” Paperboard packaging is certainly a sustainable packaging solution. In 2018, four paperboard packaging trends emerged. High-quality digital printing on paperboard packaging may be more than a trend, according to one judge, who says it might become the standard for short-to-medium runs. Luxury goods know the value of leveraging the upscale printing and finishing effects of paperboard packaging. Turns out, even everyday brands can take advantage of premium branding and graphics to help boost consumer excitement and sales. When is a carton not a package? When it becomes an ice bucket, of course, as is the case with Asahi beer. Developed byWestRock, not only are the carton’s graphics unique for the beer segment, the structural design enables the package to hold ice so consumers can keep their beer cans cold on the beach or wherever their adventure takes them. There’s no denying the potential for packaging innovation in the fast-growing market of products containing THC, the chemical in marijuana that produces a euphoric high. As Packaging Digest reported in 2015, “branding and safety are now coming to the forefront for packaging of cannabis products, as the market for medicinal and recreational marijuana intensifies.” In addition, the Paperboard Packaging Council says, “Other designs took it a step further by adding creative locking mechanisms made entirely from paperboard.” This helps to child-proofing this unique product. No matter what your packaging needs are, looking at paperboard containers may be the right solution. 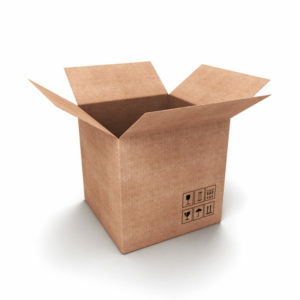 Griffin-Rutgers can ensure that you get the correct equipment for labeling for printing on paperboard containers. t for labeling for printing on paperboard containers. Posted in Agriculture, Consumer Goods, Packaging Resources, Paper, Corrugated & Chipboard.